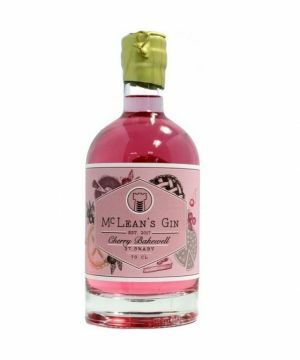 McLean’s Cherry Bakewell Gin is inspired by the classic Bakewell Tart. Produced entirely by hand in small batches in Glasgow, the Signature Gin is made using a process first used in the early 17th century. Every bottle of McLean’s Gin is bottled, labelled and sealed individually by hand. Rich in cherry, almond and vanilla, McLean’s Cherry Bakewell is perfect as a refreshing gin & mix and also can be used to make exciting gin cocktails. This is a fab small-batch gin with classic notes of juniper alongside, cubeb, cardamom, sweet gale, hibiscus flowers and of course cherry and almond.